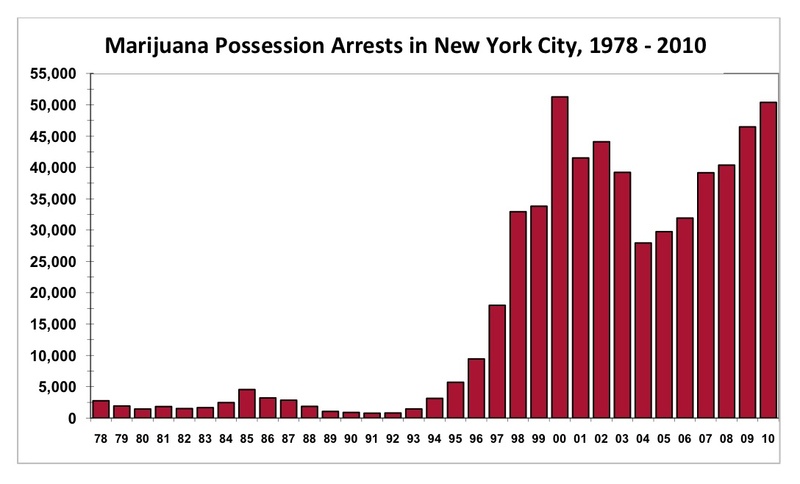 The contemporary drug law reform movement holds varying levels of interest for historians of drugs and alcohol. Drugs historians with an interest in modern drug policy are more likely to find would-be reformers relevant as both subjects and audience; for other historians, contemporary reform may simply be of interest as a personal, political cause. This entry in the “Points on Blogs” series takes a look at drug war criticism on the web, of which there’s no shortage! For U.S.-based drug law reform (more on the weird dearth of transnational activism below), readers could certainly begin with the Drug Policy Alliance. Founder and director Ethan Nadelmann (author of some very historically-informed works of scholarship) has overseen the development of a DPA site that is content-rich and user friendly. The DPA hosts an online resource library (the Lindesmith Library, named for early drug war critic and sociologist Alfred Lindesmith) with more than 15,000 documents and videos. As for bloggers, drug war reformers would do well to consider Pete Guither’s blog Drug WarRant, or StoptheDrugWar.org (especially the Speakeasy blog). For today, however, I’ll focus on another blog: Sterling on Justice and Drugs. Sterling is Eric Sterling, who clearly knows a thing or two about justice and drugs. For historians of recent U.S. drug policy, he’s an historical actor in his own right–as Counsel to the U.S. House of Representatives Judiciary Committee for ten years, he helped the Subcommittee on Crime develop the now-notorious Anti-Drug Abuse Acts of 1986 and 1988. Almost immediately thereafter, Sterling became active in reform circles. He serves as President of the Criminal Justice Policy Foundation (and Sterling on Justice and Drugs is, effectively, the blog of the Criminal Justice Policy Foundation). For users, Sterling’s blog isn’t quite as easy to use as one might like. Without a helpful tagging system, the archives aren’t really accessible (one could simply choose to read back through the posts). Perhaps drug law reform is so “of the moment” that no one needs a guide to past work; Points readers can simply check in periodically to see what’s literally new. The only other quibble with Sterling’s blog is that it is pretty relentlessly U.S.-focused. Let me be clear–the blog actually has a fair amount of interesting coverage of global drug problems (and American foreign policy/drug policy), like this short piece on Jamaican gangs, or this longer-form commentary on Mexico and Colombia. But when it comes to reform, the coverage tends to end at the borders of the U.S. 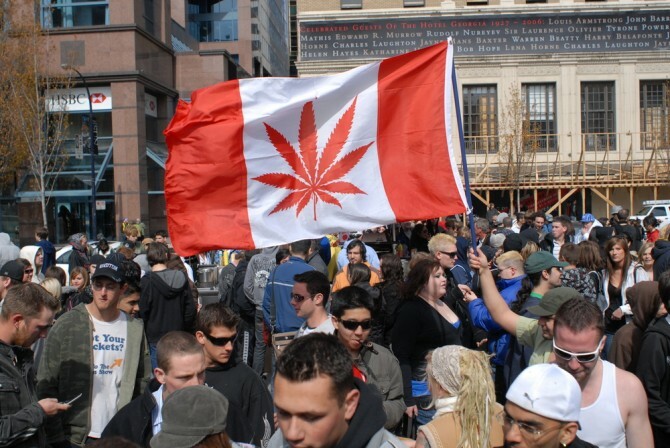 So, where is the coverage of drug law reform movements around the globe? Most of the sites mentioned in this post have episodic coverage of global reform and activism, but I’d welcome reader suggestions for locating even more comprehensive web coverage. Vancouver waves its flag--where is its blog? OOps!, sorry for the duplication, I see Joe already mentioned stopthedrugwar, but the Schaffer drug library is huge and pretty well laid out. Dave, thanks for mentioning the Schaffer drug library, which probably deserves its own post down the road. The outstanding collection of historical writings and materials there makes it a must-see stop, particularly for students looking to learn more about research topics of interest. I have had the pleasure of meeting and hearing Sterling speak several times at drug policy reform conferences in college. His behind the scenes stories from his days as legal counsel in the House committee on the Judiciary are unbelievable. He was in the room, helping write mandatory minimum drug sentencing laws in the 80s, including the notoriously disastrous crack/cocaine disparity. The US is the largest consumer of illicit drugs in the world, and historically, within the modern period (1960+), has had the greatest exposure to the gamut of illicit drugs. It is also perceived as the global drug policy hegemon (or at least prime mover). 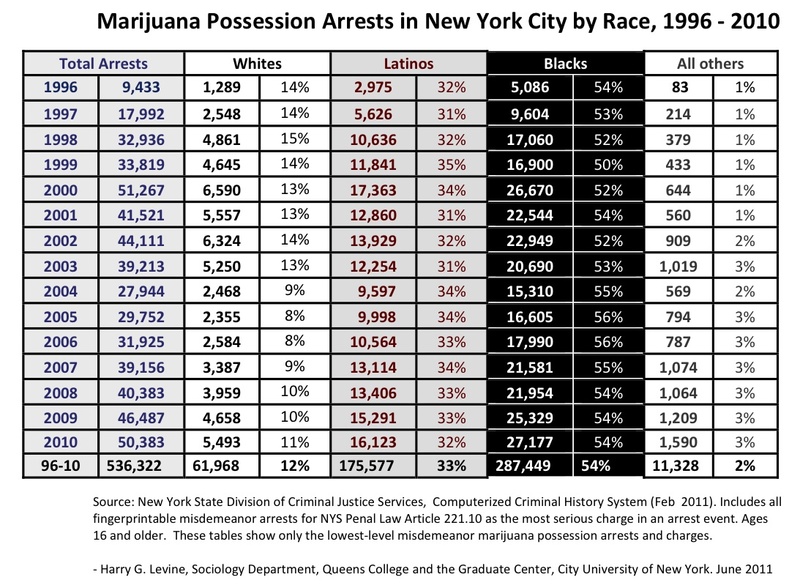 So, it’s not surprising that drug policy reform on the web be US-centric. Especially the accentuation of the above facts among the Anglophone countries, from which the potential diversity of the blogosphere focus must be considered. I would be remiss if I did not point out the Media Awareness Project (MAP) and the excellent DrugNews archive. DrugNews has over 220,000 news and magazine articles on drug policy archived to library standards. The database is searchable from a variety of parameters and any serious student of drug policy needs to have it in their bookmarks. One of my most fond memories of being an activist for cannabis law reform was going to New Hampshire for the primaries in 1992 with DC Metro NORML. There wasn’t a candidate there that didn’t know that they were ignoring us. 🙂 Perhaps my fondest memory of that event was getting to “break bread” with Mr. Sterling. He’s most certainly one of the reform movement’s greatest assets. But I feel compelled to note that the man is haunted by his work writing those laws. Well, at least he was in 1992, I sincerely hope he’s made peace with it by now. Those laws would have been written with or without him, and they certainly could have been written by someone who was proud of doing that dirty work. God knows I never expected to still be at this almost 2 decades later. The good news is that it’s almost over. I know, wishful thinking, but gosh, what else can I think now that General Mills has hired Cheech and Chong as pitch men? I think we are close also Duncan,,but i fear that what we have considered to be helping our efforts,,the economy,,is now hurting us. Yes,our government is broke and so is every other government,,but the only viable market right now is the black market,,and it is carrying the world right now on money flow. The black market destroys wealth, it does not create it. The reports of banks profiting from “money laundering” are grossly overstated. Most people don’t grasp that to the US Government just about anything you do with “drug money” is “money laundering” even buying a McDonald’s hamburger after delivering a $5 joint with the $5 you just collected would be money laundering. People confuse gross revenue with net profits. They’re nowhere close to each other. Regardless, it would have been better for the economy in the long run had the banksters gone teats up. It it were true that black market money helped keep them alive that would be just another on the list of social damages caused by the black market as far as I’m concerned. 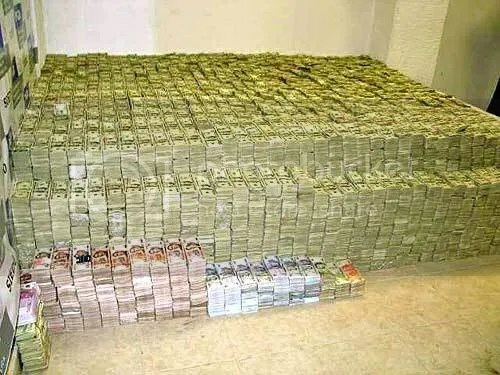 Did you get to see the room full of money when they busted a guy in Mexico with over $200 million in cash? Every single penny of that money had been removed from the economy and wasn’t doing a blessed thing for anyone including its owner. You can only improve your economy for so long with borrowed money. Of the $trillion that we’ve squandered since 1971 on the war on some drugs we’ve managed to pay back exactly $0.00 (zero dollars and zero sense) of the principal. That leaves us with an interest payment of between $55-60 billion annually. If the government doesn’t throw another dollar into the rathole which we call the war on (some) drugs it’s going to cost us another $trillion that we don’t have in less than 20 years. We’re already to the point where we are borrowing the money needed just to keep the debt current. That’s called robbing Peter to pay Paul and is a very reliable indicator of imminent bankruptcy. Try to borrow money from Ctibank to pay interest you owe Bank of America and see how quick you get shut down. Of all the horrid things our society has endured because of the idiotic war on (some) drugs the imminent loss of the positive reputation embodied in the “full faith and credit of the United States of America” is the greatest tragedy of this epic failure of public policy. Sorry, I’m not buying your theory today. Prohibition bears many strong and startling similarities to Torquemada­’s inquisition­, it’s supporters are servants of tyranny and hate who’s sole purpose is to make the rest of us suffer their putrid legacy of incalculable waste and destruction. 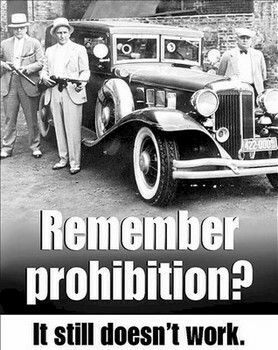 Prohibition engendered black market profits are obscenely huge. Remove this and you remove the ability to bribe or threaten any government official or even whole governments. The argument that legalized regulation won’t severely cripple organized crime is truly bizarre. Of course, the bad guys won’t just disappear, but if you severely diminish their income, you also severely diminish their power. The proceeds from theft, extortion, pirated goods etc. are a drop in the ocean compared to what can be earned by selling prohibited/unregulated drugs in a black market estimated to be worth 400,000 million dollars. The immense illegal capital, gifted through prohibition, is what gives these criminal cartels and terrorists power. Power that has allowed them to expand into other areas with near total impunity. Each day you remain silent, you help to destroy the Constitution, fill the prisons with our children, and empower terrorists and criminals worldwide while wasting hundreds of billions of your own tax dollars.